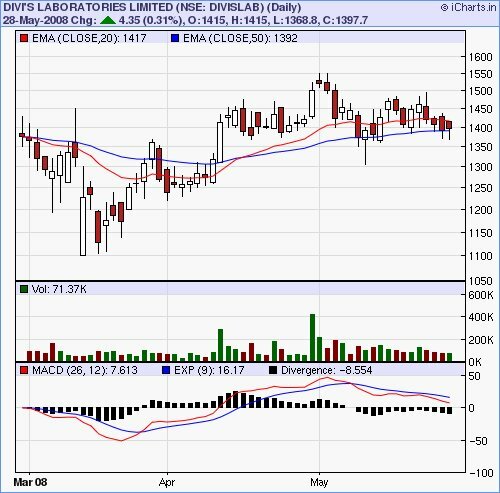 If the investors wants some different pharma pick may be Divis Labs would be the best for short term Investor Pick. Divis Lab made a low of 1369 in past two days which is almost a double bottom which act as a great support. To be more precise can make a stop loss of 1365 and can take trade at current levels for 10% gains.Trend Reversal in this counter may seen. In summary Divi’s Lab is a Low Risk High Gain Stock.